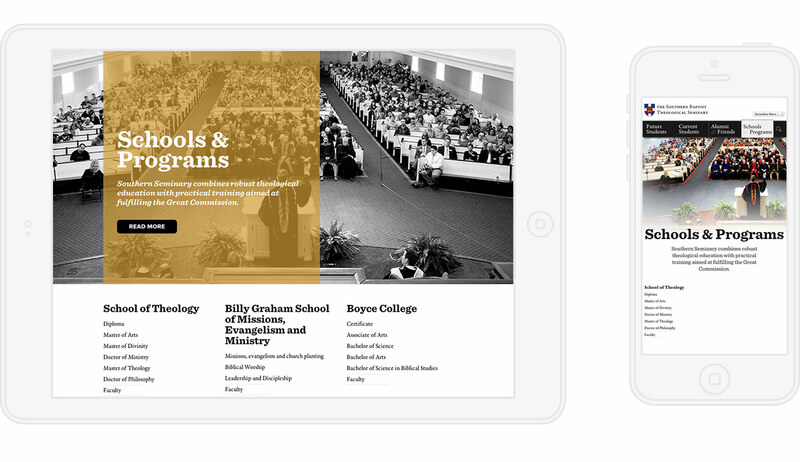 Southern Seminary needed to clearly communicate their schools & programs, and present themselves great to potential students, current students, alumni & friends. "Josh performed excellent work and exhibited great patience, skill, and creativity in working with us. 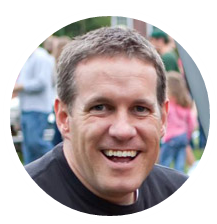 Recommended if you want a well-designed site and a partner who will work with you!" The Southern Baptist Theological Seminary is the flagship seminary for the Southern Baptist Convention, and the largest Christian Seminary in the world. To be able to come alongside them and help them solve problems is a privilege. I started out walking through the project scope and exactly what we were trying to accomplish. It was apparent that they needed quite a few redesigned pages inside their Wordpress multisite install. So this project wasn't a total overhaul of their entire website, but I still wanted to deliver something that would be useful to them after the project was completed. I settled on a few page templates inside of Wordpress that they could use for the project, as well as for future projects. We worked through a few wireframes on paper at first until I had a clear direction on what the content would be for these new areas. 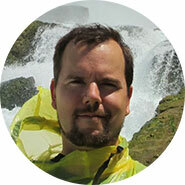 After the wireframes were approved, I worked with the on staff photographer Emil Handke in order to get some great photography to use. Thankfully Emil is super talented and already had quite a repository of photos that I could use. Excellent images make for a great website. I worked in photoshop to present several mockups to Southern, and ended up going through three to four rounds of revisions for each landing page mockup. And then once finalized I moved into coding these designs as a responsive templates inside of Wordpress. I created new landing pages for all the top level navigation, future students, current students, alumni & friends, schools & programs and a few others. The pages are responsive and look beautiful on all devices. After these top level landing pages were complete, I trained the team at Southern in how to use the templates for the pages, as well as how to use the templates for future projects. On the development side of things Southern uses Wordpress multisite to manage all of their web properties, and they have a staging server for all website edits. In order to accomplish this, I developed all of my changes locally on my Mac, then used Github to push the changes to the development server, and when everything was approved we launched the changes from the development server to the live server using Git. This project turned out fantastic, but don't take my word for it, take a look for yourself. 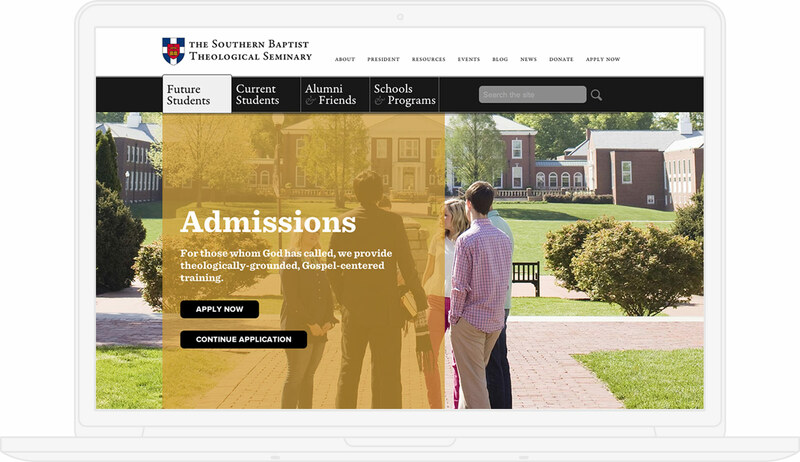 Do you want your website to be successful like Southern Seminary?